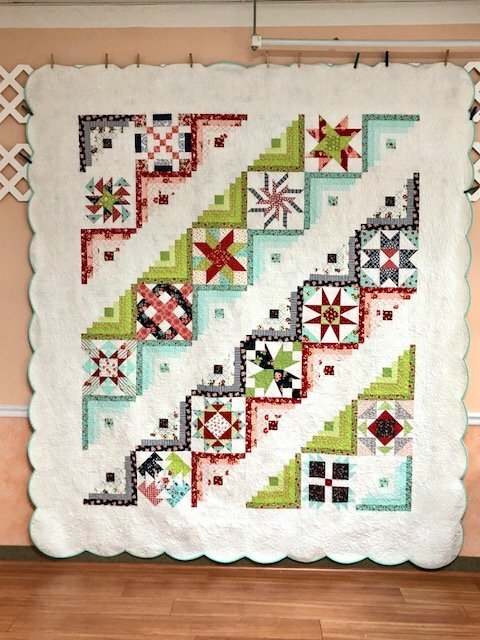 Our block of the month 2019/2020 quilt is fourteen blocks made from current designer fabric. It is bright, cheerful, with a variety of colors. It uses classic techniques where you can build on your piecing skills. Finishing kits are not required but we will have multiple finishing options available so you can make your quilt your own and finish to your desired size. We offer three times to meet on the first Tuesday of each month (approximately 15-20 minutes). You can come at 9:30 am, 4:30 pm, or 6 pm.